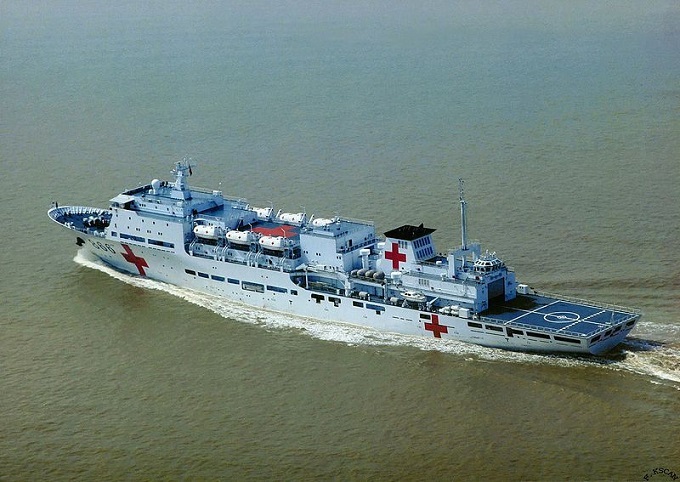 With respect to our post of Nov. 23, 2013, the Chinese 10,000 tonne capacity hospital ship “Peace Ark” (with the capacity of 300 beds and 428 soldiers, officers, and medical workers aboard), will be of great help to Philippines typhoon victims. Because the ship is very big, patients have to be brought to the ship via ferry. Despite a recent territorial dispute between China and Philippines over a part of the South China Sea (Philippines calls the West Philippine Sea), China had pledged about $1.6 million and sent the Peace Ark to help with Philippines typhoon victims. Such a magnanimous gesture on the part of China gives us hope that many issues in Asia will be resolvable if all parties will maintain clarity, reason, and approach matters from a collaborative perspective. Let’s hope that any future jousting between China and Japan will only appear on the solar energy scene, vying to be the leader in our renewable energy age….for much of the challenges we Earthlings will be facing ahead will require collaborations of all nations and resources on our planet. This entry was posted on Wednesday, November 27th, 2013 at 4:52 AM	and is filed under Editorial. You can follow any responses to this entry through the RSS 2.0 feed. You can leave a response, or trackback from your own site.